Rajyashree Dutt travelled to Tanzania a few years ago. It was a trip that left such an impression that Rajyashree has blogged about the adventure in detail. She put together a feature especially for Safari365 recounting the highlights of the adventure across Tanzania's iconic landscape. In February 2011 my husband Deepak and I, along with two other couples, took a trip to Tanzania which changed our lives. Upon arrival at Kilimanjaro International Airport, we were met by Mashine who was to be our driver, guide, friend and philosopher for the next twelve days. Our second home for that period was a sand-coloured Toyota Land Cruiser with six individual seats and sliding windows. Our tour had been set up by Safari365, which Deepak had found quite by chance on the internet. And they turned out to be fantastic. 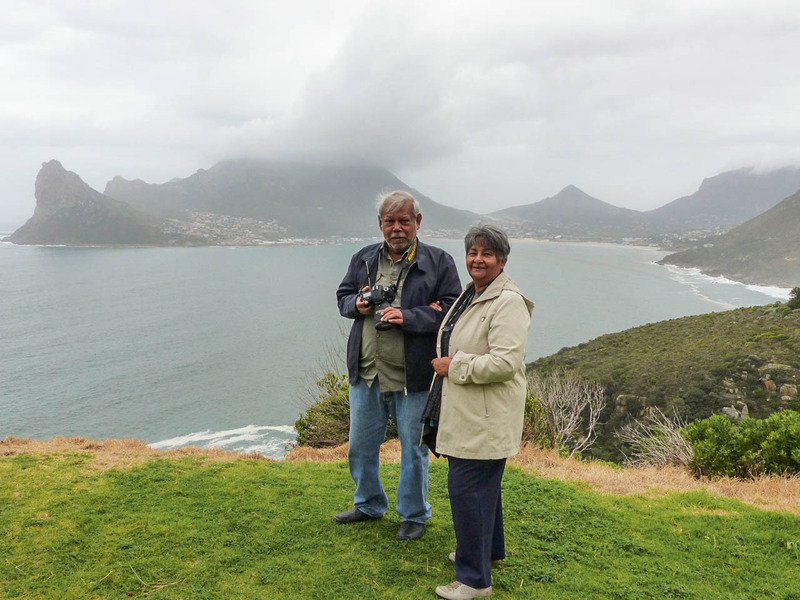 They took care of the entire package – hotels, transport and safaris. We used Safari365 again when we visited Victoria Falls, Botswana and South Africa in 2014 and several of our friends have also had a brilliant time in Africa, thanks to Safari365. We visited in February. At this time each year the Great Migration halts on the fertile plains and an estimated mind-boggling 500,000 wildebeest, zebra, gazelle, eland and impala young are born during a two-week period. It’s a tough time for the mothers and babies and bonanza for the ever-watchful predators. With Mt Kilimanjaro as a backdrop, Arusha National Park was a smorgasbord of African game. The highlight was seeing two dazzling black and white colobus monkeys in the forest and the grey crowned crane in the dense reed bed around Momella Lake. On our way to Ngorongoro Crater we stopped at Lake Manyara National Park and were greeted by an army of blue monkeys, baboons and vervet monkeys. We also met two distinctive birds - Southern Ground hornbill and Silvery-cheeked hornbill. A lone tusker was enjoying a mud bath by a stream. Another came up to him and there was a short face-off but luckily they did not fight. 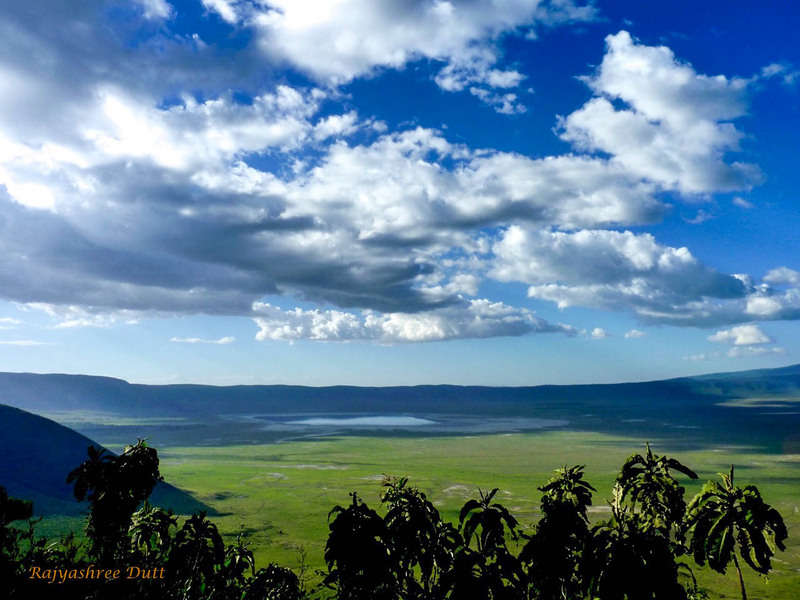 Then we headed off to the Ngorongoro Conservation Area and caught our first glimpse of the breathtaking Ngorongoro Crater. We were booked into the Serena Safari Lodge which hugs the rim of the Ngorongoro Crater. Next morning as we descended into the crater we could see why it is a World Heritage Site. The intense concentration of wildlife in this relatively small area is fantastic - large herds of zebra and wildebeest, along with the lovely Coke’s hartebeest, Thomson’s and Grant’s gazelles, magnificent African rhino and of course the ace predator - lions with attendant hyenas. We were lucky to see a few of the crater’s enormous male elephants and the rare and beautiful serval. The next day we left Ngorongoro for Ndutu, with a short visit to a Maasai village on the way, made memorable by the brightly coloured clothes and jewellery of the women, the energetic dancing, and the sight of the little children engrossed in ‘hisabu’ in their tiny school. We overnighted at Ndutu Safari Lodge – a little slice of paradise next to Lake Ndutu. The lodge has a bird-bath which is visited by birds all day. Fischer’s lovebirds by the hundreds, exquisite blue-capped waxbills and straw-tailed whydahs, among others. In Ndutu, we saw a mother cheetah with three cubs and a lion pride. As we passed the Big Marsh the setting sun lit up adorable lion cubs who entertained us with their antics while mama worked on a kill hidden in the reeds. The next day we witnessed one of the most amazing sights we have ever seen – three cheetah brothers hunting a wildebeest. From three idle cats sitting around in the scrub to an efficient, sleek and powerful hunting machine, the transformation was incredible. And thanks to Mashine’s understanding of how nature works we had ring side seats on the action. In the afternoon we set off for Lake Masek where the flamingoes flaunted their brilliant feathers against the deep blue water of the lake. It was an animal graveyard. Mashine explained that after the rains the Lake shore turns into a swamp. As thousands of wildebeest and other animals cross the lake they get bogged down in the mud. The next morning, as dawn was breaking we set off for the Big Marsh. Evidently it had been an eventful night for the resident predators. Vultures and marabou storks waited their turn while lionesses feasted. In amongst the carnage we saw an adorable cub with sleep-clouded eyes. That evening, as we made our way back to the lodge in the rapidly fading light we saw a truly rare sight – a small family of Bat-Eared foxes. 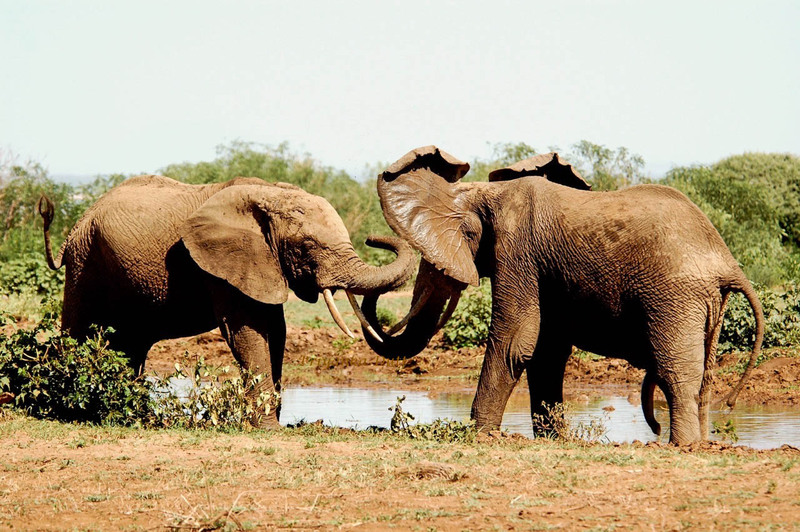 The next day as we set off for the Serengeti we watched three magnificent tuskers walk towards a waterhole. They paused occasionally to cover themselves with fine white dust and then rolled around in the sticky mud. A young male lion was having a siesta in a sausage tree and a wary leopard watched us from the high branches of an acacia. While we were watching another leopard on a faraway sausage tree it suddenly descended and decided to walk straight towards us! She stopped under my window and looked up just inches away from my face. Those blazing amber eyes seared themselves into my memory. At dusk we rolled into the Serengeti Serena Lodge nestled in acacia groves overlooking the vast plains of the Serengeti. It was like living in an African village, complete with elephant dung by the front door! During the next day’s game drives, we saw a large herd of elephant and a beautiful cheetah which seemed to pose for us. After lunch we went to the Hippo Pool. It was the most fascinatingly disgusting place I had ever seen. The hippos glared at each other as they swam in their own poo and displayed their killer teeth. The next morning we had to leave this magical world. We drove through the Serengeti to the Seronera Airport, loaded our luggage, said a tearful farewell to Mashine and climbed aboard the Tanganyika Air 12-seater Cessna on our way to Zanzibar. The above is an extract. To read about the whole tripin detail visit mamarazzi341.wordpress.com. Looking to embark on your own Tanzania Safari adventure? Start planning today!